Lately, there has been an explosion of thousands of diet programs and books with each one claiming different methods and secrets to get rid of excess weight. Theories can range from speeding up weight loss by eating no carbohydrates to eating only cabbage in order to lose weight. The list goes on and on and it seems never ending. Now I am not saying these diets do not work because let’s face it if it did not work then they will not be so popular as they are today. Each specific diet has it’s own benefits but at the same time it is very important to be fair and reasonable so you do not end up starving yourself or torturing yourself. A good weight loss diet program makes sure you are lowering your calorie count but at the same time consuming foods belonging to all the important food groups. 1. Avoid Massive Calorie Cuts – Some diets these days can do more harm than good and a very important factor to take note of is prevent malnutrition at all costs. This can be achieved by avoiding all diets which drastically require you to restrict yourself from consuming even small amounts of calories in a day. Before embarking on any diet, always pay your doctor a visit and have him recommend the right calorie count you should target each day. The reason for this is because in order to come up with the right amount of calorie you should be taking each day, it will require you to factor in you height, age, weight and medical conditions to provide yourself with a safer and healthier diet plan. 2. Avoid Cutting Out Food Groups – What many people do not understand is that your body is built in a way that it has to consume food from all food groups to function at an optimal level. So therefore try to avoid diets which require you to cut out even a single food group completely from your diet as this move can potentially cause major health issues such as organ failure. A diet should consist of grains, protein, dairy, fruit and vegetables in order to be properly balanced and healthy. 3. Avoid Crash Diets or Pills – This is also a trend that has been on the rise lately. Keep in mind that most diet supplements and pills are not regulated by the FDA so always be careful and cautious if you plan to use them but it is better to avoid them at all cost. Crash diets such as the famous cabbage-soup diet is also another type of diet to avoid for the simple reason that although you may lose weight quickly, you are going to gain back the pounds even faster once you stop the diet completely. Remember as well that weight loss diets CANNOT work on their own and you are required to also exercise along with your diet plan. That way you will really speed up your weight loss process. Now with the above mentioned guide to great recipes for weight loss diets, you are able to choose the right and most effective diet yourself without the risk of harming your health. 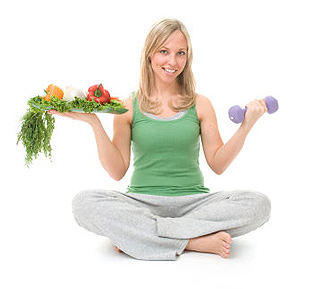 The first step is to not forget to consult with your local doctor before embarking on any diet. This article entitled “Guide to Great Recipes For Weight Loss Diets” is for information purposes only and should not be substituted or used as medical advice from a medical professional.